Born and bred in Newcastle, Timothy was drawn to food at a very young age. His grandmother, a Fellow of the City of London’s Worshipful Company of Cooks because of her skill in confectionery and pastry, instilled upon him not only her knowledge but her creed: “Good food, good wine, good friends”. Following school, Timothy headed to Sydney, where he began his apprenticeship at the 1 hat Hugo’s in Bondi Beach, before moving back to the Hunter Valley to finish his training under Executive Chef Jean Marie at Cypress Lakes Resort. Throughout his career Timothy has had the privilege of working at some of the finest establishments and with some of the best Chefs the country has to offer, including Warren Turnbull at Sydney’s 2 hat Cruise and the opulent Lizard Island Resort. 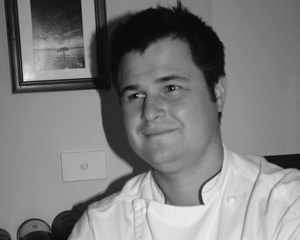 Timothy’s love of travelling has had a large impact on his style of cooking, with Eastern Mediterranean techniques and flavours shining through his classical French training to ensure that each dish he prepares is a unique gastronomic exploration. With his food previously appearing in publications such as the Sydney Morning Herald, Qantas Inflight, NRMA’s Open Road and Dining Out in the Hunter, Timothy has now moved into a consultancy role for restaurants throughout Newcastle and the Hunter Valley, in addition to operating a designer cake business with his wife Amanda. Tim prepared an excellent five course meal. all my guests were pleased and delighted with the quality. What a great night! 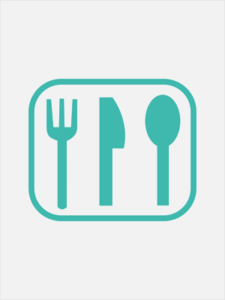 Having restaurant quality cuisine served in your own home makes for a wonderful evening. My 11 guests and I had a fabulous night and the best part was I didn’t have to lift a finger! Chef Tim and the waiter left the kitchen spotless which was really appreciated. I wasn’t there for the actual dinner itself, but Tim was an absolute delight and my guests could not stop raving about him. Not only was the food amazing but he went that extra mile to engage with the guest, take his time to give the guests a better experience and left them both satisfied with the beautiful food but also the great company. Wouldn’t hesitate to bring him on for another event in the area. The meal was delicious but it did seem to be over very quickly for the price paid. We had a fantastic dinner, and Tim was great. It was wonderful to have him there to allow us all to sit and relax and catch up without any worries at all. I could get used to that! The food was also lovely, and it was greatly appreciated to cater so well for the gluten free. Excellent food and service. Made for a fantastic evening. The chef was excellent. The food was superb and the timing was excellent.